There is a general misconception that, after a file of any kind was manually deleted from a hard drive, there is no way to retrieve that particular file. The truth is that, when pressing “delete” after selecting a certain file, and removing it from the “recycle bin” afterwards, you have just removed the indicators of that file from the table of the hard disk content. To put it simply, the parts of the deleted file are scattered around on your hard disk, but are no more visible to you via your operative system. The space where they were stored now becomes unallocated, and it can be used to store other files but, due to the constant development of technology and the growth of the hard disk capacity supplied to the general consumer, it may take time for these spaces to be occupied again. It is important to note that different operative systems have different ways of performing the process of deletion, and that process is done differently depending on the type of hard drive. Never the less, there certainly is a possibility to recover these deleted files, but the process can be hard and long, because all of the scattered data has to be found and reconstructed thoroughly. 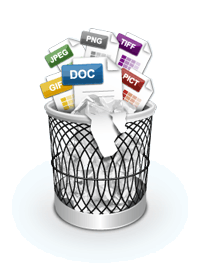 As far as the general public is concerned, the most common situation connected to file recovery is the accidental deletion of important files. As stated before, these files are still on your hard drive and if you act fast you can “bring them back to life”. The most important thing to do is minimize your computer usage until you recover your files. If you do not do so, the unallocated units, mentioned above, will be filled with new files thus overwriting the files you want to recover. There are several free programs that can “undelete” your files. You can search the internet and download various programs to do so. But, the safest way is to call in the professionals. The saddest thing is that sometimes, some files cannot be recovered. That is why the best thing to do is create backup files for everything that you find valuable on your computer. It is highly advisable to create a backup of the entire operative system, and do this on regular basis. Above that, you should backup individual files also, for example, a document containing your entire doctrine. That way you definitely avoid the possible heart attack you may get at the moment you realize that your life’s work had just disappeared mystically.